Unlike most other American sports leagues and despite a long 82-game season, the National Hockey League structure allows 16 of the 31 teams to make the playoffs; that’s over half. This makes for a lot of parity in the playoffs. Consider the last ten years, where only once has a team with the best overall record in the regular season, also known as President Trophy winners, gone on to win the ultimate prize, the Stanley Cup. That was the Chicago Blackhawks in the 2012-2013 season, during which only 48 games were played due to the NHL lockout. Even more surprising is that in the same time period, only one other President’s Trophy winner even made the Stanley Cup Finals, the Blackhawks notwithstanding. To understand the reason for these non-intuitive statistics it is first important to understand the structure of the Stanley Cup Playoffs. They consist of four grueling best-of-seven series. On average, the championship team will play 22-25 games in a playoff campaign, equivalent to more than a fourth of their regular season. Therefore, teams that do very well throughout the entire regular season tend to burn out, and such is the reason why the President’s Trophy winner tends to exit the playoffs in the first or second round. The last three President’s Trophy winners have all lost in the second round. Therefore, rather than picking the hottest team over an entire season to win the Stanley Cup, it is much safer to pick the hottest team in the NHL over the last 30-odd games or so. This theory perhaps holds no truer for the Pittsburgh Penguins, who have won three Stanley Cups over the past ten years.This deviates from the rationale that the longer a season, the fewer teams should be allowed to make the playoffs and is instead rooted in the idea that the longer a season, the more likely teams will have a record they deserve. Take the MLB for example; a league with 30 teams, each team playing 162 games, and only eight of them play best-of-seven games in the playoffs. This amongst other reasons like the lack of a salary cap is why baseball franchises such as the New York Yankees have such outstanding records, the short nature of the postseason decreases the likelihood of being upset. The Penguins Championship season in 2008-2009 got off to a rocky start and the Penguins Organization fired head coach Michel Therrien. In Mid February, when the Penguins were five points outside the playoffs. Under their new coach, Dan Bylsma, the team went 18-3-4, and 10-1-2 in their last 13 games before the playoffs. The Penguins followed a similar path in the 2015-2016 season, firing Bylsma midway through the season and finishing the season as one of the hottest teams in the NHL. The importance of the last 20-30 games of the regular season is shown below with the March and April records of each Stanley Cup Winner. With all this being said, the current NHL season just concluded all-star weekend, meaning teams have played 52 of their 82 games. With 30 games remaining, teams have just the right amount of time to generate momentum to carry a team throughout the playoffs. The current teams that are most likely to not win the Stanley Cup, based on recent history, are either the teams at the very top of the league or very bottom. The Tampa Bay Lightning have looked exceptional this season and sit five points clear of first place with a 37-10-2 record. The next best team is the Calgary Flames who have a 33-13-5 record. Unfortunately for supporters of these teams, when considering injuries and fatigue, it is unlikely either of these teams will continue their form through the playoffs, and even more unlikely they win the Stanley Cup in June. Conversely, it is even more unlikely that the two worst teams in both conferences, the Ottawa Senators (Eastern) and La Kings (Western) with records of 19-26-5 and 20-26-4 will win the Stanley Cup, it would be miracle if they even make the playoffs. This leaves 27 viable contenders to hoist the Cup in May. But there are other factors to consider when predicting which teams can do well in March and April. The most important is likely the trade deadline. The trading window for the NHL ends on February 25th, meaning after that day no teams will be permitted to acquire, sell, buy or trade for new players. Players acquired in February tend to be instrumental in how well teams do during the final stretch. Therefore, without knowing how roster will change up until then, it is hard to predict which teams are most likely to win the Stanley Cup, however, given the current roster and injured is still worthwhile to consider which teams have the most potential. 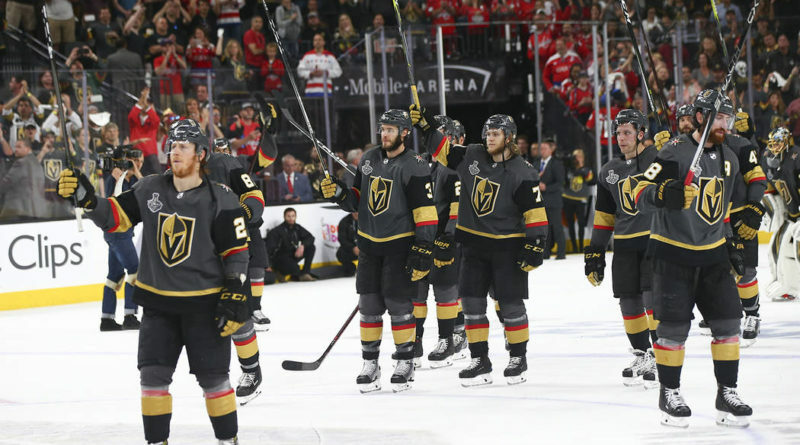 It has been three years since a team in the Western Conference won the Stanley Cup and last year’s finalist, the Las Vegas Golden Knights, look like the most likely team to break the trend. This year they are sitting fifth in the Western Conference 62 points and a 29-19-2 record. 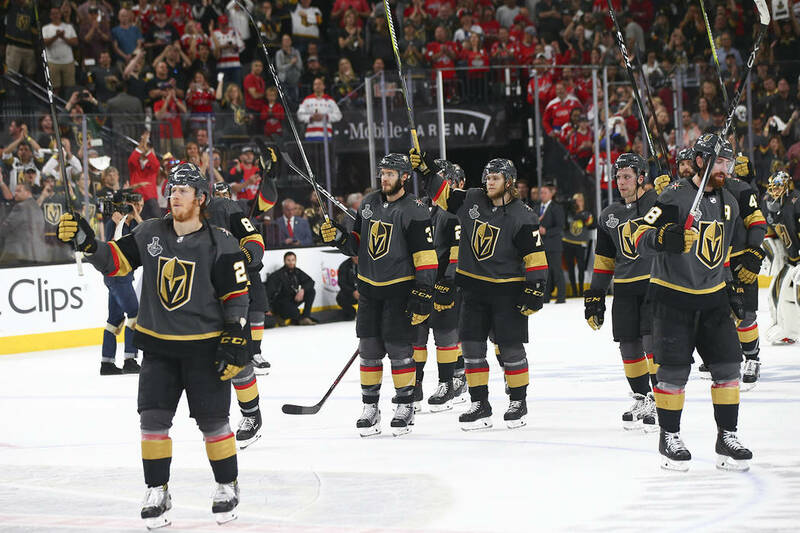 WIth most of their team from last year unchanged, the Golden Knights now have the experience to make another deep run. If goalie, Marc Andre Fleury continues his stellar performance, the Golden Knights should hope for a better result in the final. In the East, the Penguins and Capitals have been dominate for the last three years, however the lasting fatigue of long playoff runs, will likely prevent either of these teams from winning again. The Montreal Canadiens, led by all-star goalie, Carey Price, and defensemen P.K. Subban, have a very legitimate chance of winning their first Stanley Cup since 1993. If the past decade of the NHL tells us anything, it is that the NHL playoffs are a different beast compared to the regular season. The speed and intensity of play is on another level. Some current seasoned veterans like Penguins’ captain, Sidney Crosby, understand the delicate balance between playing well enough to make the playoffs and having enough energy to elevate their game during the playoffs. Crosby despite not having a sensation regular seasons in 2016-2018 ended up winning the MVP of the playoffs in back to back years. Whichever team ends up winning the Stanley Cup this year will need to have players like Crosby that are able to play their best hockey during the playoffs and a team that has the capacity to elevate their game as the playoffs approach.